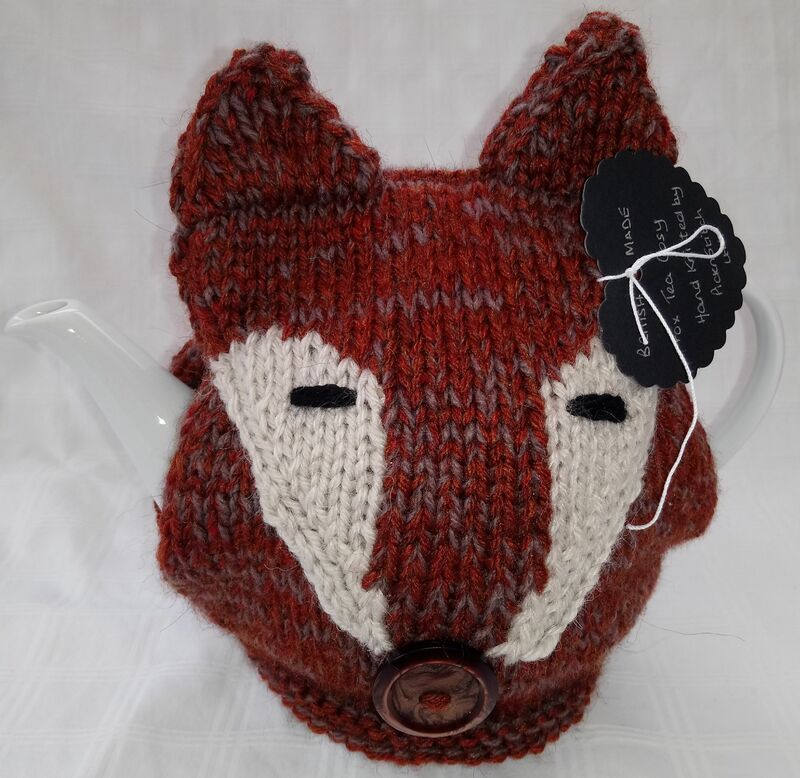 This is a lovely hand knitted tea cosy with a fox face. Made from various yarn types, it fits a standard 4 cup tea pot. Hand wash only, do not tumble dry and do not iron.